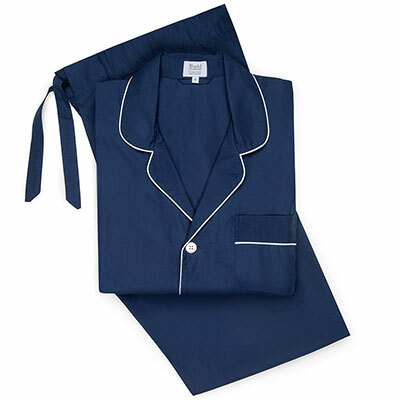 This Swiss Soyella nightshirt is the ultimate in luxury. The finest of our nightshirts and most popular bespoke cloth that we sell; our Swiss Soyella nightshirts are a real winner for quality and exceptional fineness. Made from the best grade of Egyptian cotton which is refined with precision in Switzerland, this 170s adds a luxury and exquisiteness to bedtime. The only danger is that you might not want to wear anything else once you have indulged.